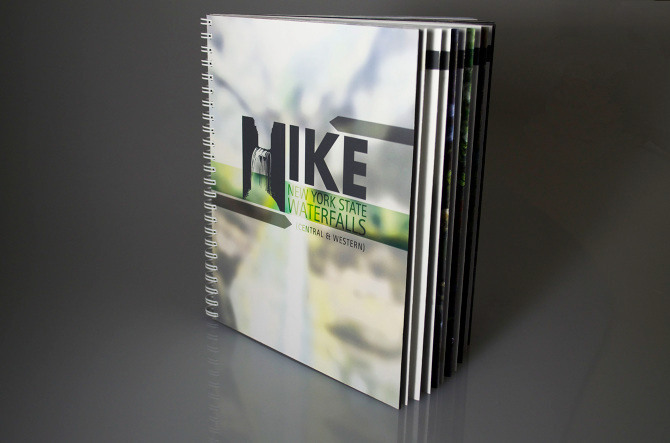 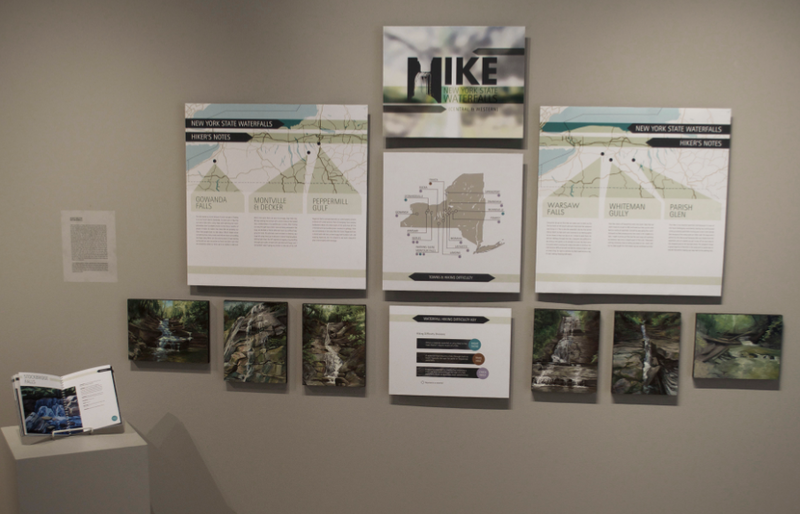 This project works with natural tourism towards New York State Waterfalls. 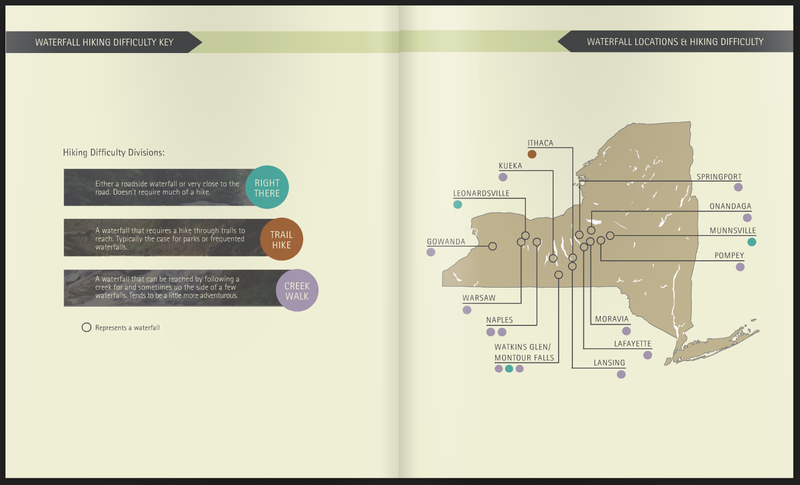 It features 18 notable waterfall hikes in the central/western parts of NYS with my research about the hikes, location, geology and waterways. 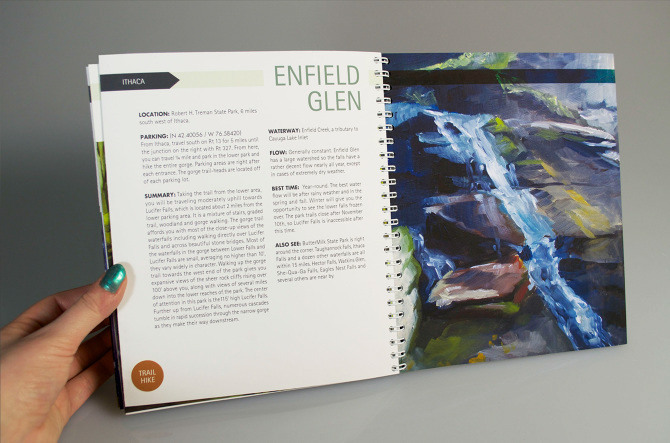 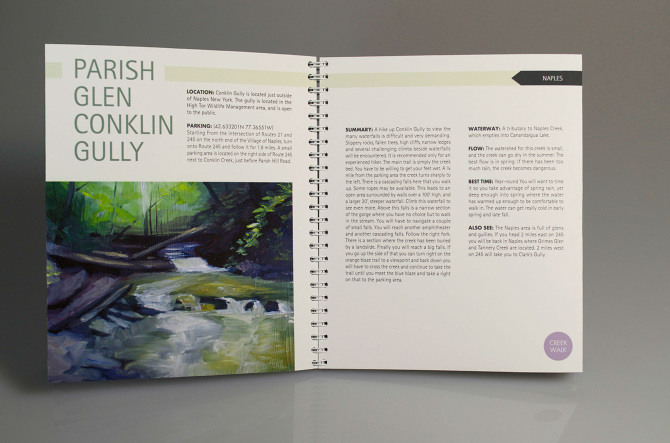 This information is paired with paintings of the waterfalls to form a guide book and maps that I developed.